This is an offering of a single bedroom in a well-appointed guest house, located at a distance of 1.5 km from Mae De Deus Church. St Alex Church is at a distance of 3.6 km and Cross at The Holy Trinity Church at 2.5 km from the property. 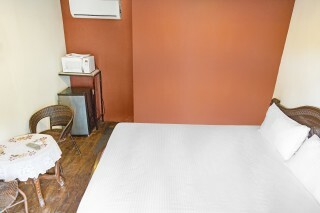 The room on offer can accommodate up to two people and is perfect if you are travelling with your partner. 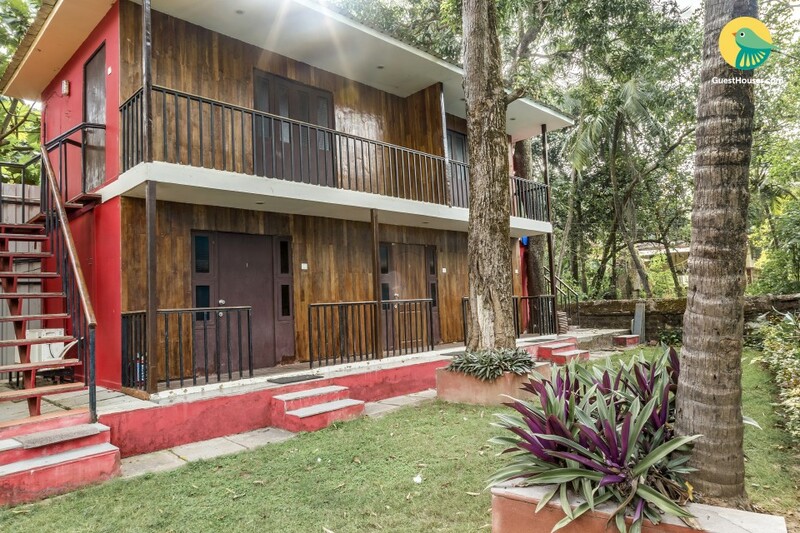 The property is surrounded by tall coconut trees and features a wood-panelled exterior with a red accent wall. 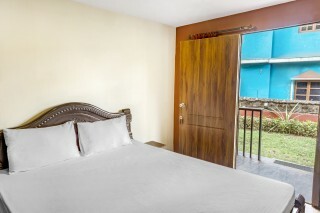 The air-conditioned bedroom boasts wood-panelled flooring and is comfortably furnished to ensure a pleasant stay. 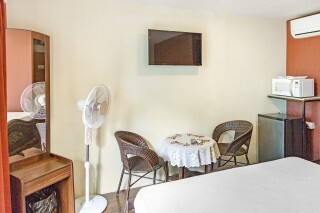 It is furnished with a plush storage double bed, cane chairs, coffee table, a dressing table, and a room fan for convenience. A wall-mounted TV ensures that you do not miss out on your favourite shows. A microwave and a mini fridge are available where you can store food items if needed. 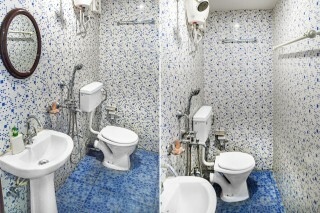 The en suite bathroom is fitted with western sanitary ware. "In proximity to popular beaches, sightseeing spots in the vicinity"
My expirience with guest houser at saligaon goa was amazing .the care taker was good and helpful.the only problm was food. There must be a chef to provide some goodies and snacks to the people who got accomodated..rest everything was excellent . Than you guest houser for making our holiday amazing. It was a memorable stay at this place. Cottage was excellent and overall it was good experience. 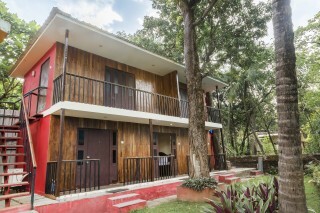 Guesthouser connected us with cheap and best options.